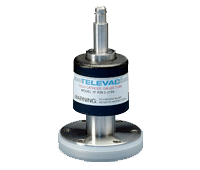 The Fredericks Company’s Televac® vacuum measurement brand designs and manufactures passive vacuum gauges including thermocouple gauges, convection gauges, and diaphragm gauges for low vacuum measurement along with cold cathode gauges and hot ion gauges for high vacuum measurement. 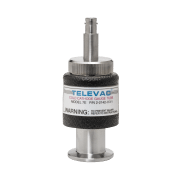 We’ve designed all of our vacuum gauges to be cost-effective, robust, contamination resistant, and optimized for a variety of different applications and environments. 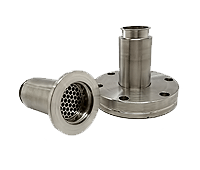 Some of the most common markets where our vacuum gauges are used are heat treat and vacuum furnaces, national labs and research and development, and cryogenics and industrial gases. 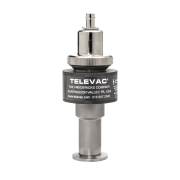 All Televac passive vacuum gauges require a vacuum controller or an active vacuum gauge in order to provide vacuum measurement for an end user. 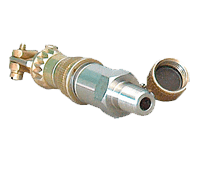 Vacuum controllers connect to our passive vacuum gauges with cables, whereas an active vacuum gauge electronics head plugs directly into a passive vacuum gauge. If you’re interested in a rack or panel mounted vacuum controller, a good place to start is the MX200, or if you’re interested in a portable vacuum controller, check out the VacuGuard. 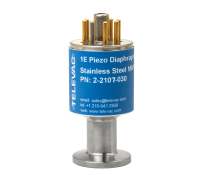 If you want an active vacuum gauge, check out our MX4A and MX7B! 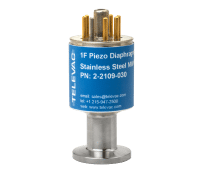 Not sure which passive vacuum gauge to select? Here’s some additional information on our most popular passive vacuum gauges. 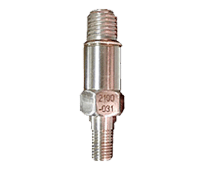 Our 2A thermocouple gauge is widely considered to be our most robust and contamination resistant low vacuum gauge due to its filament design and operating temperature, and it’s simple to install because it can be mounted in any orientation. 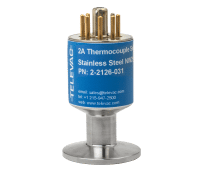 The 2A thermocouple gauge’s primary limitation is that with all of our vacuum controllers, this thermocouple gauge will only read from 1*10-3 Torr (1 micron) to 20 Torr (20,000 microns), instead of all the way up to atmosphere (760 Torr). It also has slightly reduced accuracy over some parts of its operating range when compared to the 4A convection gauge. The 4A convection gauge is essentially an improved performance version of the 2A thermocouple gauge. 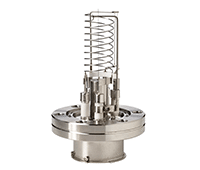 It’s another very robust and contamination resistant low vacuum gauge option, but the 4A convection gauge must be installed in a vertical orientation in order to measure up to atmosphere (760 Torr). 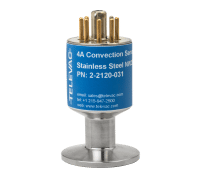 Its primary benefits over the 2A thermocouple gauge are that the 4A convection gauge has better accuracy (±10%) over its operating range, and that it can read from 1*10-3 Torr (1 micron) up to atmosphere (760 Torr). The 7B cold cathode gauge is a Penning gauge which is known in the heat treat and vacuum furnace industry as the most robust and contamination resistant high vacuum gauge available on the market due to its mechanical design and operating voltage. This cold cathode gauge has a vacuum measurement range from 10-7 Torr to 10-3 Torr and can be disassembled and cleaned many times by an end user to extend its life. 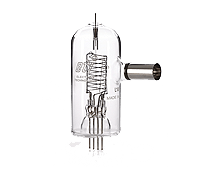 The 7B cold cathode gauge is typically paired with a 2A thermocouple gauge or a 4A convection gauge, which automatically turns on the 7B cold cathode gauge when it reaches 1*10-2 Torr. 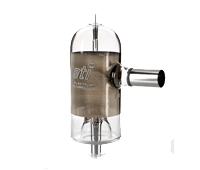 When paired with a 4A convection gauge you have a full range vacuum measurement solution from high vacuum (10-7 Torr) to atmosphere (760 Torr). 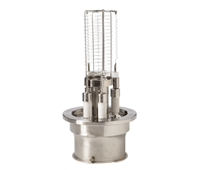 The 7FCS cold cathode gauge is a double inverted magnetron gauge designed for UHV (ultra high vacuum; 10-11 Torr) vacuum measurements which is known in national labs for its quick start capability. Unlike other cold cathode gauges, it includes a filament which is turned on every time the cold cathode gauge turns on, allowing it to start and provide accurate readings at 10-8 Torr (or lower) within 5 seconds. This is particularly useful for national labs where power cycling can often occur while the system remains in high vacuum or UHV. The 7FCS cold cathode gauge is typically paired with a 2A thermocouple gauge or a 4A convection gauge, which automatically turns on the 7FCS cold cathode gauge when it reaches 1*10-2 Torr. 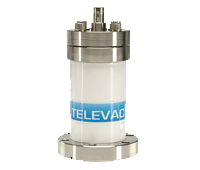 When paired with a 4A convection gauge you have a full range vacuum measurement solution from high vacuum (10-11 Torr) to atmosphere (760 Torr).